We offer various type of packaging machine like Stretch Wrapping Machine, Void Filling Machine (Airpad Machine), Taping Machine. Our Taping Machine comes with the top & bottom Sealing function & a new patented tape head incorporated with a V-shaped design to keep the tape straight & driven by two side & two top belts to keep the carton intact. 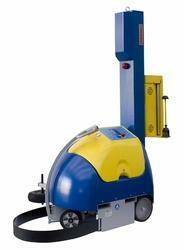 This machine comes in different variants like Pneumatic H-Type Sealer, Auto Flap Closing sealer & many other. This machine can also be integrated with an automatic line. With the assistance of our deft team of professionals, we are able to manufacture, trade, supply, and export a broad array of Vertical Stretch Wrapping Machine. 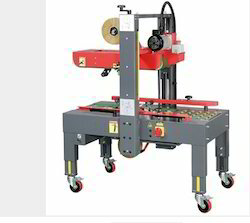 This machine is used for wrapping various boxes and packages. 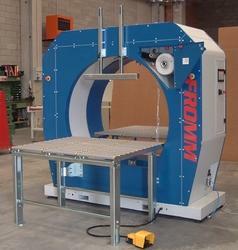 The offered machine is also available with wrapping and packaging option. The production line includes entire assembly required for wrapping. The complete line of production is made available in the machine. Clients can procure the production as per their budget. The FROMM vertical stretch wrapping machines are particularly suitable for customers who need to wrap a range of long products, like profiles, wood, alimunium, steel, stainless steel etc. Our machines have been proven to be reliable and multifunctional. Film brake adjustment, by means of a hand wheel. Supply complete with CE-declaration of conformity. 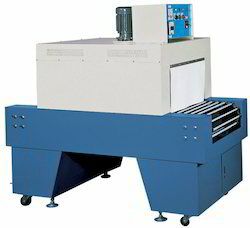 Broader belt width of 8"
We provide high quality Indian make box wrapping machine. These machines are equipped with best products ensuring higher life & reliable performance. This comes with single & double motor carriage system for upto 300% pre-stretch. The carriage system is equipped with 160rpm motor, thereby uniformly stretching the film. the turn table is equipped with 40rpm motor for higher speed. This machine comes with optional top press which is equipped with high quality auto shut valve preventing damage to light cartons during top press. In general FROMM advises to operate the FR39x and FR40x with POWER PRE Stretchs systems in combination with OP2 control panel. Stretch Wrapping Machine are used to wrap the palletized loads & cartons of various dimensions, our FS-400 model is globally renowned & comes with a Dual Motor Power Pre Stretch System which can stretch the film upto 400%. This comes with the advanced PLC control system, Polizene constructed mast for zero maintenance. 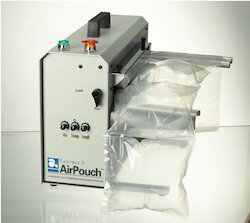 We are successfully ranked amongst the topnotch organizations of a wide range Air Pouch Express. 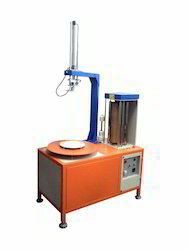 This machine is used for developing air pouch. The offered machine fills air at high speed. Such pouch is used in various industrial and commercial arenas. Accuracy and aligned production is the impressive feature of the express machine. Furthermore, the machinery parts can be removed and replaced easily without dismantling the whole machine. Apart from this, express machine can be installed by us at industry leading rates. High quality YBICO make tape dispenser suitable for taping on cartons. 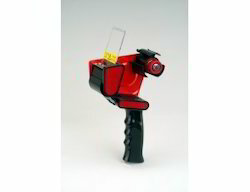 Sturdy plastic construction with plastic anti-reversing plate, adjustable brake and opaque plastic wiper for 2" tapes.